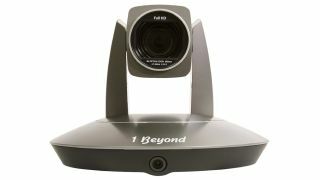 The What: 1 Beyond has begun shipping the 1 Beyond AutoTracker 3 camera, the latest version of the company’s presenter tracking camera. 1 Beyond AutoTracker cameras use a combination of motion and facial detection, and require no mats, lanyards, or any other external hardware for operation. The What Else: The new AutoTracker 3 camera will most notably feature Power over Ethernet (PoE+) and a new software manager in addition to improved tracking and higher quality wide-angle camera. With the addition of PoE+, the AutoTracker 3 camera can now be controlled, powered, and monitored over a single network connection, making installing the camera simpler as fewer cables need to be run. The AutoTracker 3 camera also comes with the new 1 Beyond Camera Manager software which is able to control multiple cameras across subnets of a network and allows up to four camera streams to be viewed simultaneously. “1 Beyond AutoTracker 3 cameras now not only feature the leading auto tracking technology but also are the easiest to install,” said Terry Cullen, founder and CEO of 1 Beyond. The AutoTracker 3 retains the key features of the previous versions which include high-quality Sony sensor, dual 1080p or 720p HD-SDI output, advanced motor design for smooth quiet tracking, easy setup, 20x optical zoom, and automatic camera functions such as focus and white balance. The Bottom Line: Hundreds of universities and corporations have adopted the AutoTracker camera as their standard for lecture capture, videoconferencing, training, and many other applications due to its design, which eliminates the need for camera or system operators. AutoTracker 3 cameras are shipping immediately and are priced at $6,995.